Melissa specialises in the area of employment law and industrial relations. She understands that this complex area of the law is problematic for many employers and is often viewed as a distraction from their core business. Melissa prides herself on providing practical employment law and industrial relations support which provides employers with peace of mind and allows them to re-focus on their day-to-day business activities. As well as responding to issues which arise in the workplace, Melissa works with employers to ensure that they have in place the systems, processes and tools aimed at preventing workplace issues arising, protecting employers and ensuring legislative and award compliance. Her professional yet personable approach ensures open communication and fosters lasting business relationships. Melissa’s clients are diverse and include large corporates, not-for-profits and small businesses. 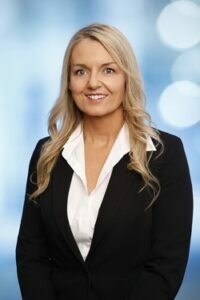 She regularly advises on and acts for clients in matters such as unfair dismissal, employment agreements, contracting arrangements, the application and interpretation of Modern Awards and other industrial instruments, engagement and termination procedures (including redundancies), performance management, workplace health and safety and workplace policies. Melissa also has extensive experience in the areas of corporate advisory and business services which allows her to understand the broader commercial issues relating to employment law issues.